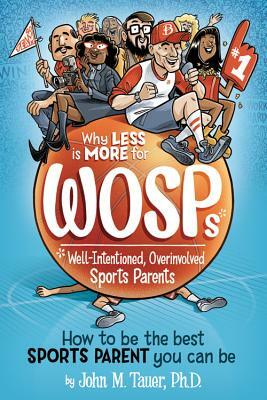 In ''Why Less Is More for WOSPs (Well-Intentioned, Overinvolved Sports Parents)'', Dr. John Tauer weaves rich stories together with empirical research and psychological theory to explain how the good intentions of WOSPs have gone awry to create a culture of overtrained and overstructured children. What types of goals should parents have for their children? How can we light a motivational fire in our children, and then step back and watch it continue to burn on its own? Tauer addresses these and other important questions throughout this must-read book.